ኦ ጌታ ሆይ በቀራንዮ የፈሰሰው ደምህ እንዲሁ በከንቱ ይቀር ይሆን፡፡ በደምህ የዋጀሃት ቤተ ክርስቲያን የወኝበዴዎች ዋሻ ሆና ትቀር ይሆን!!!??? እናንተ ማ/ቅዱሳንና ወዘተዎች? ማነው የተገለጸውን እንዳታውቁ አዚምን የረጨባችሁ!? የችግሩ ምንጭ አመተ ሰይጣን-ወ/ሮ እጅጋየሁ ሆነው እያሉ ፓትርያርኩ፣አባ ...ወይም አቶ...እያላችሁ ነጋ ጠባ በድርሰት ከምታስቸግሩን ለምን እንደምን አድርጋችሁ እጅጋየሁን እግርዋን አስራችሁ ሲኦልን አታወርድዋትም? wey gud amlake kidusan melkamun gize yamta esti .Yeawasa mimenan ayzowachehu amlak meftehe alewu kirb ken meftehewun yisetal. esti mehila yazu ena Egzio maherene enebel. semune himamat saygeba. Is she our Church's 'Matriarch', who is whirling the dust around? Mirchaw techiberbirual, lela enimertiliwo 'abatachin'. I am very much surprised by the movement of Tehadiso and the reaction of our fathers. These(Tahdiso) probably are planning to take the church and administer for the sake of generation primarily Money not spiritual well being of society. One thing that always puzzles me is some words from these tehadiso group like " ... we are preaching Jesus as our main basis or askual"
Were these guys Orthodox? I am asking this question because I indeed know that our Orthodox's base is Jesus every practice including most traditional deed are related to him. if they were, they might not know who there were believing or they are not referring our church probably they are referring other church! These all have to happen because it has been already forecasted by holy father. የግንቦቱ ሲኖዶስ ችግሩን ሳይፈታ ካለፈ ቤተ ክርስቲያኒቱን ሸጠዋታል ማለት ነው፡፡” Ere Amelak Hoye Eskahun Aleteshetechem Malet New .....Ena Gin Kezi Belaye Mekera Min Enedehone ...Yemiyaseredagne Kale ????? Wey Amlake! Is it the responsibilty of the Hawassa Miemenans? why do we contribute our share? What is the secret behind the silence of Media's of MK? What is the purpose to have media if it can do something to rescue the church from such conspiracy? Shame on the excutives-in-chief of Semea Tsidk and Hamer. They have passed through prestigious phase to the extent of sacrification. Dipolomacy is not the correct tool. EWNET ARINET YAWETANAL. IT is true that those persons are not on the side of the Church. they are against the church. 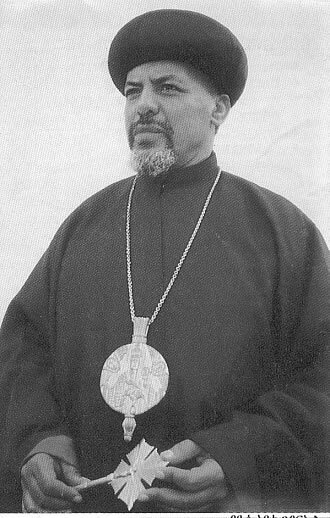 Megabe Mistir Welde-Rufael said that illness and death are now in the church and many AYINAMAWOCH have passed away. the reason is still secret. It seems a March on apologists of the church. 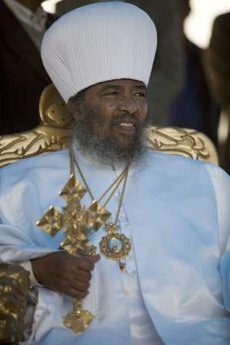 Archbishop Gebriel and others should take care. they are now running to complete their job before the Synod meeting in April. I wonder on the "የውስጥ አዋቂ" ideas. I think he is right. What we have not deeply understood could be that point. Without something, this simple widow cannot cheat our fathers. Please lets think of it and do solution over it. ene yemilew yebetechrstianu era kirstos asfetsami kidus sinodos, tadiya mengist lemin Yekidus sindosin wesane lemin ayasikebirim!! Yebetkristianen chegroch lemeftat Abatochachen yadergut endeneberew Gubae bemesrat lemefetat benmoker Men alebet!